If you've ever wanted a palette of 4 cheek enhancing and face finishing product in one place, the innovative IT Cosmetics just created one for the holidays. IT Cosmetics Your Je Ne Sais Quoi Complexion Perfection Face Palette contains 4 of their best selling and universal products and shades. 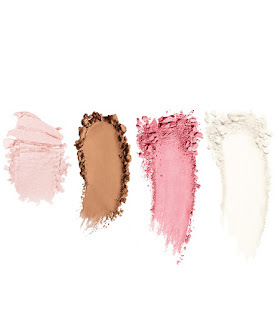 (From top left above), Bye Bye Pores Blush in Je Ne Sais Quoi, Bye Bye Pores Pressed Powder, Perfect Lighting Luminizer, Sunshine In A Compact Bronzer. The palette contains a lot of product, so you (or the lucky beauty lover in your life) will have this for months and months, even with daily use. My absolute favorite product in the palette is the Sunshine In A Compact Bronzer, which I featured on the blog earlier this year. Combined with the other 3 products, I had everything I needed to create a nice, healthy glow in just a few minutes. I had never tried the Perfect Lighting Luminizer before, so it was also a great way to try new IT products. This was a very pretty glow that I added to cheek bones and brow bones. 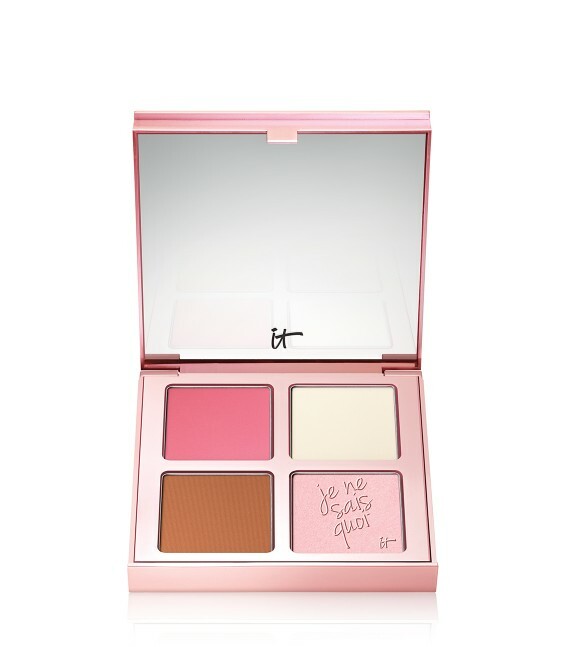 The Bye Bye Pores Blush in Je Ne Sais Quoi is a medium/deep warm pink that brightened up my skin and will work with very light and dark skin because of it's pigment. It has a sheen finish that gives a healthy glow. I sometimes used the bronzer alone or with the blush, and I also liked the there was a pressed, finishing powder in the palette (most makeup palettes don't have this!). All the products have great pigment and are smooth and easy to pick up with brushes. It's perfect for travel and the price is fantastic (it's an $80 value for $42).